Michigan State has been knocked out in the first or second round of the NCAA Basketball Tournament for the last three years. Saturday they have a chance to break that streak. FOX 47 News is continuing its coverage of the Spartans and Wolverines in Des Moines. DES MOINES, IA — Michigan State has been knocked out in the first or second round of the NCAA Basketball Tournament for the last three years. Saturday they have a chance to break that streak. FOX 47 News is continuing its coverage of the Spartans and Wolverines in Des Moines. Both the Michigan State Spartans and Michigan Wolverines are looking for berths into the Sweet 16. For MSU, it would be their first Sweet 16 appearance since 2015. The Wolverines and the Florida Gators will square off at 5:15 p.m. Saturday. Michigan blew out Montana in the Round of 64, Florida took down Nevada to advance. 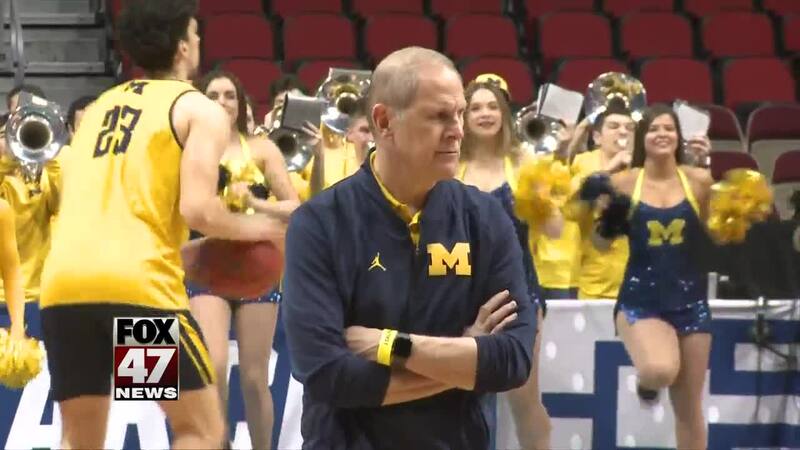 "We have a great challenge and great opportunity right now with Florida, they have a great mixture of some really good talent, some seniors that have had really great careers there," said Michigan head coach John Beilein. "They've had a lot of success in the postseason." The Spartans are set to take part in the Big Ten Battle against Minnesota. MSU won the only meeting between the two this season, 79-55 early last month. This is a different Gophers team from the one that got blown out in East Lansing, though. "They're all more aggressive to score and they're a good defensive team. Maybe the aggressiveness is the biggest reason, and Coffey is playing at a level we all thought they would be" said MSU head coach Tom Izzo. "They're a much better team. Coffey's playing at an extremely high level," said MSU guard Cassius Winston. "They're all playing above a level at which they were. They're a much better team, and we have to come in focused, and lock in better." Michigan State can expect another tough environment as Minnesota has a geographical advantage in Iowa. The players acknowledged that the Bradley game felt like a road game with everyone rooting for the upset, but this time they are prepared for a primarily Minnesota crowd. We'll have all the updates you need from the games Saturday both on air and on our website.